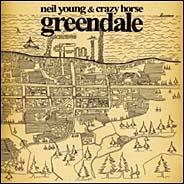 Neil Young and Crazy Horse is either one of your life's great musical pleasures, or you just can't take the slop. Me? Beginning with Everybody Knows This is Nowhere I have eaten it up. If you haven't liked the combo before, this sprawling, loose-fitting “concept” album isn't likely to pull the trigger for you. Critical reaction was decidedly mixed, but who cares what critics think? Myself included. 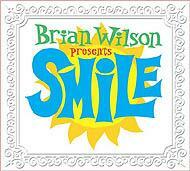 Wilson's Smile Delivers Even Better Vibrations on Vinyl! LP mastering engineer Don Grossinger brought over two LP editions of Smile last week, test pressings from RTI used for the domestic Rhino release and a set from Pallas in Germany for the European market. Grossinger cut identical lacquers for both. Editor Eats His Words! 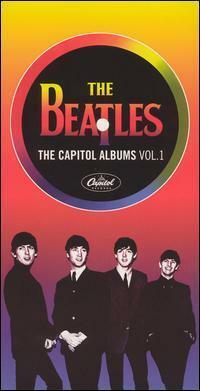 : Capitol's Fab Four Are! I was wrong. These four Frankenstein monsters created by Capitol in 1964 out of parts stripped from various UK originals sound fantastic and yes, revisiting them after decades of neglect and dismissal opened a floodgate of intense memories-for me my freshman year at Cornell- of my roommate at University Halls #3, of a dorm band fronted by a kid names Ozzie Ahlers, and their big hit “Master the Bate,” and especially where and when I bought each of these albums, and how I reacted upon hearing them. 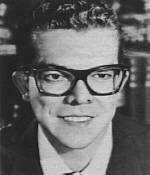 When I heard the fake stereo version of “I Feel Fine” for the first time in 3 plus decades I flashed on the first time I ever heard the song: on WKBW, Buffalo, which was a clear channel we could pick up on the AM radio at night in Ithaca. I remember who I was with when the song aired, what he was wearing and even how the dorm air smelled. Hearing these songs strung together in this order creates a totally different vibe than the one you get listening to the UK originals: more muscular, and justd plain more American. That's both the problem and the pleasure, however. the kindness or Mr. Taylor and his publication. 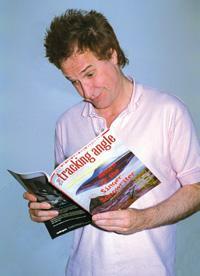 Thanks also to Don Grossinger for gettting it for Musicangle.com. BT: What was your participation on the project? DG: I did all of the vinyl mastering and some of the QC work to make sure the test pressings were up to par. BT: How did you get the project? I was recommended by Bob Ludwig who had mastered the CD for the project and Joe Gastwirt who had worked on many Beach Boys projects with Mark Linett. Bob didn't do it himself because he no longer has a lathe. This is the second project he's sent to me. 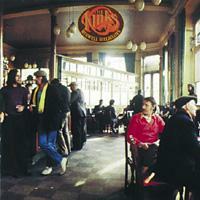 He sent the Rolling Stones' remastering for vinyl work, the new SACD masters, to me as well. BT: Did you do the whole Brian Wilson album or just a few selected cuts? DG: It was more than the whole album, actually. The whole CD consists of three suites which are 47 minutes long in total. Each of the sections took one side of the album. The fourth side, which I EQ'd and mastered from scratch, consisted of bonus tracks. These were 4 instrumentals of some of the songs that were on the album as vocals. These tracks will only be on the vinyl release, not the CD. The door to the Velvel Records reception area opened a good dozen times while I awaited Ray Davies' arrival. There was a constant stream of FedEx and UPS delivery men, visitors, and Velvel workers. Each time it opened it could have been for Davies, but I knew it wasn't, though the door opened toward where I was seated, blocking my view of the entrant. With a click of the knob and a rush of air, the door opened one particular time and I knew immediately it was Raymond Douglas Davies' entrance. I would have bet a hundred bucks and I would have collected. What told me? The panache with which the door flew open? The “vibe?” I don't know. I just knew it was Ray, and it was. Reissue Supervision: Paul Williams for House of Hits Productions, Ltd. This whole Cocktail Nation, Space Age Bachelor Pad Music revival thing strikes me with extreme bemusement. All of a sudden, a new generation discovers and decides that what was once unhip is now the coolest-whether martinis, leopard skin, kitschy Fifties furniture-or the “easy listening” instrumental music popular at the dawn of the Stereo Age. Wondermint vocalist/vibes/keyboardist Darian Sahanaja, a member of the Wondermints—Brian Wilson's live back-up group— speaks with Matthew Greenwald about his job as Brian Wilson's "musical secretary," and about the restoration and creation of Wilson's legendary Smile album for both live and studio presentation. Back in 1998 KOCH licensed both the RCA and Arista Kinks catalogs from BMG. Ray Davies supervised and approved the transfer from two-track analog masters, which was accomplished using an Ampex ATR102 directly feeding a Pacific Microsonics Model One A/D converter running at 88.2k/24 bit PCM (bonus tracks were sourced from Ray's DAT tapes). The files were sent to Bob Ludwig's Gateway Mastering for final mastering, including HDCD encoding. 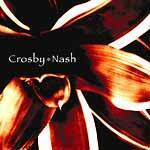 The first studio album proper by the duet since 1976's Whistling Down The Wire, Crosby-Nash - a two-CD set - is an interesting, intriguing and overall thoughtful affair. To say something like that it reflects the 'lives in the balance' vibe that we are all surrounded by here in 2004 through the minds of these two firebrands would be accurate, but there's more, much more.